Before we can explain proper Website SEO, it’s important to explain exactly what SEO is and why it matters. 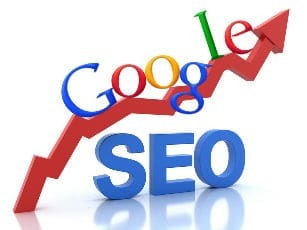 SEO or Site Engine Optimization is a set of values or qualifiers search engines look for when they query your website. It’s not enough to simply build a site anymore. There are millions upon millions of websites on the World Wide Web today. The search engines such as Google, Bing, Yahoo! etc… want your business. They are all fighting to get you to use them. One way they do that is by making sure they supply you, the searcher, with relevant links when you submit a search. They want your experience with them to be satisfying so that you come back. Website SEO matters because Google is the first thing people go to when looking to find anything and everything. Yahoo! and Bing (which are now one in the same) are second and third. Specialty sites, like Craigslist or eBay are 4th. Newspapers and phone books are rarely used at all anymore. If your site isn’t ranking, you’re not being listed by search engines and therefore you are not being found by searchers. What’s the point of having a website to begin with if no one can find it? Search Engines have “crawlers” that are right now combing through the World Wide Web, one page at a time. Eventually they get to your site and once they do, they analyze it for a specific set of values which is used to determine how relevant you are. That relevancy value is one of the key factors that determine where you are placed in a Google organic search result page. We know what those values are and how to incorporate that CORRECTLY into your website. We also know what it takes to force the crawlers to your site; think of this as “cutting in line.” Proper SEO directly relates to you being found organically or for free on that search page. The higher your ranking in the search engines, the more visitors your site will see and the more sales you will convert. 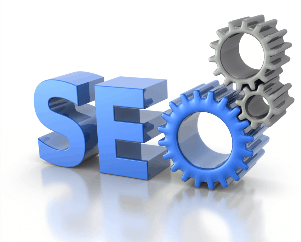 All of our MYK Designed SEO websites are built from start to finish with SEO in mind. Each page is Search Engine Optimized, not just the home page. Think of the search engines as the sea, the fish in that sea as the searchers. Obviously the more fish you catch the more success your business will have right? Would you catch more fish with one baited hook? Or 7 baited hooks?